How Far is Avventure Madhumitra Phase II? Living in heart of IT corridor with a many that offers you. Class living in peaceful and tranquil neighborhoods, where fresh air, abundant water & blissful silence of counrtyside. Living in close to best educational institutions, Malls, hospitals. Affordable cost with all approvals & 100% clear titles. Madhumitra Estate spread over 30 acres in phase I & 13 acres in phase II of land in ideal location neighboring Biocon, Cipla, SKF Shelton, DLF township, HCL tech-park, Narayana Hrudayalaya and many more. Excellent connectivity to express corridors, Nice Road, Electronic city junction. A landscape dotted by Residential Layouts & villas. 1. It's a Gated community residential township with modern facilities set in serene, natural surroundings. 2. This project is next to "MADHUMITRA Phase - 1" which is a successful project with 80 houses has been built already and enjoying their piece of happiness. 3. While providing the modern infrastructural facilities, care has been taken to ensure that the pristine environment is left undisturbed. 4. Our Project is just 5 KM away from World's largest IT hub (Electronic City), well connected to leading companies like Wipro, Infosys, HP, Biocon. New GE Campus, and major Institutions like Alliance Business Academy, Alliance Institute of Technology, Up-Coming RJS Medical College, Indus International School, Sarla Birla Academy and hospitals like Narayana Hrudayalaya, Sparsh etc are Very closed to our project. 5. 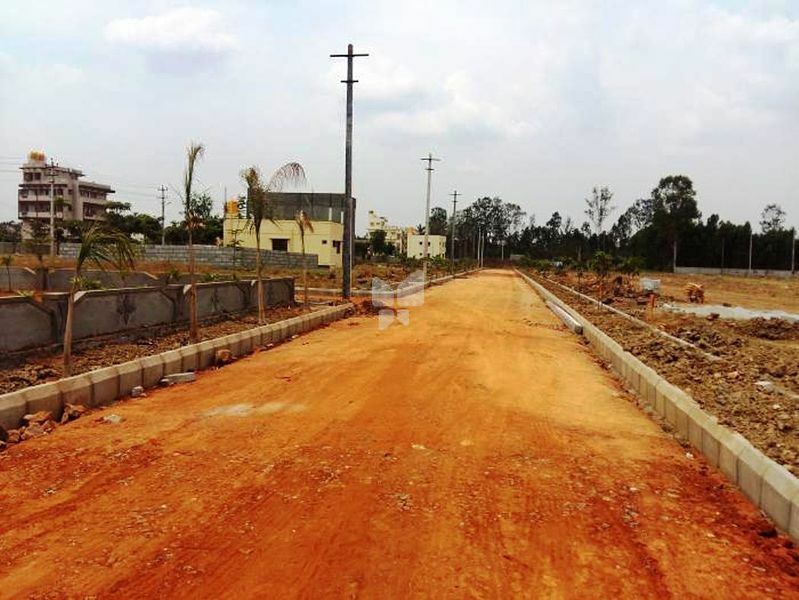 The major advantage is joined to STRR (Satellite Town Ring Road) which will be connected to all over the Bangalore City surroundings like Devanahalli, Rajanukunta, Nelamangala, Magadi, Bidadhi, Kanakapura, Anekal, Attibile, Sarjapur and Hoskote. The road length of 224 km.s, width will be 330 feet road. You have good connectivity of all the places within a hour. This location will be connected through ATR ring road, Peripheral ring road and 300 ft Satellite Township Ring Road (STRR). Plenty of land is available for Township developments, hence more chances for developing integrated townships within this vicinity. Enveloped by well developed and operational organizations, nearly 2000 companies employing 8 lakhs people work within 6 km radius here. Your investment is sure to reap profits sooner here.